Have you or a loved one been involved in a slip and fall accident in the San Diego area? If so, contact slip and fall attorneys in San Diego now. At the Jorgensen Law, one of our attorneys will review your case and determine if you may be entitled to compensation. Many factors contribute to liability in these types of cases. That’s why you need professional assistance. While you recover from your injury, an expert will take all necessary steps to make sure you receive the damages you deserve. A lawsuit for a slip and fall injury sustained in California is typically considered a personal injury lawsuit. The Statute of Limitations requires plaintiffs to file such lawsuits within two years of the incident. You’ll waive your right to compensation if you fail to do so. That’s why it’s important to get in touch with a slip and fall lawyer as soon as possible. Additionally, you have three years to file a lawsuit if you damaged valuable personal property during your fall (such as an expensive piece of jewelry). It’s important to understand that not every slip and fall accident is the same. 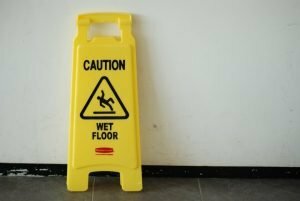 You may assume you’re entitled to compensation if you experienced any type of slip and fall injury on someone else’s property, regardless of the specific circumstances. This isn’t always the case. For instance, perhaps you sustained your injury on an area of the property you were not supposed to be in. If you injured yourself because you ignored warnings that an area was restricted, you may not be able to prove someone else is fully liable. Additionally, the nature of the situation in which the injury occurred can determine whether you have a case. Maybe you consciously chose to wear improper footwear for the situation. In this instance, you may be the one who is strictly responsible for your injury. Legal professionals account for these factors when determining the amount of damages plaintiffs are entitled to in slip and fall cases. Typically, they’ll assign a percentage of liability to the various parties involved. For example, they may find that you were 50% responsible for your injury. That obviously means the property owner may also be 50% responsible. Instead of receiving the full damages you would receive if the property owner was found to be the sole liable party, you’ll receive half. That means the other parties involved will work hard to try and prove you were at least somewhat responsible if you sustained a slip and fall injury on their property. Thus, you need to take certain key steps after your accident to ensure you get the compensation you deserve. Getting medical care for any injuries you’ve sustained as a result of a slip and fall accident is obviously the most important step to take first. That said, it’s also necessary to file a slip and fall injury report with the property owner as soon as possible. This helps you prove when and where the incident occurred. You may struggle to secure compensation if you don’t take this step. You also want to document the conditions at the scene as soon as possible. If you can’t take pictures yourself, arrange for someone else to. Your goal is to demonstrate that the property owner did not take adequate steps to keep visitors safe. When building slip and fall injury cases, attorneys need to prove the property owner failed to address conditions that put you at risk of injury. This may involve failing to repair stairs, failing to provide adequate lighting, failing to alert visitors to hazards, and similar examples of negligence. It’s also important to contact all witnesses as soon as possible after you’ve been injured as a result of a slip and fall. Get their contact information so your attorney can discuss the incident with them when necessary. You also need to contact your insurance provider. Give them accurate, thorough information about your injury. They may not want to cover it if they believe you haven’t demonstrated you were not at fault. You’ll likely have to undergo some degree of medical treatment following this type of accident. Attend all scheduled appointments and undergo all prescribed treatment to prove your injury was significant, and that you have responsibly taken steps to avoid greater harm. 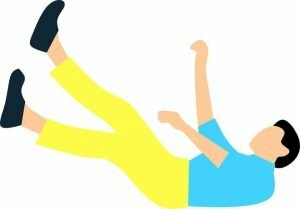 It’s worth noting that, under California law, you typically can’t sue your employer if you’ve sustained a slip and fall at work. Workers’ compensation laws are in place to make sure you get the compensation you deserve in these instances. In all other instances, be sure to get in touch with slip and fall attorneys in San Diego as soon as possible after your accident. Prepare all necessary documents prior to your consultation. This helps the attorneys make a more accurate determination when considering the next steps to take. At the Jorgensen Law, we know it can be difficult to cope with the physical and emotional consequences of this type of injury. We work to relieve a degree of that burden by ensuring you get the compensation you deserve. Contact us today at 1-888-855-2948 to learn more.